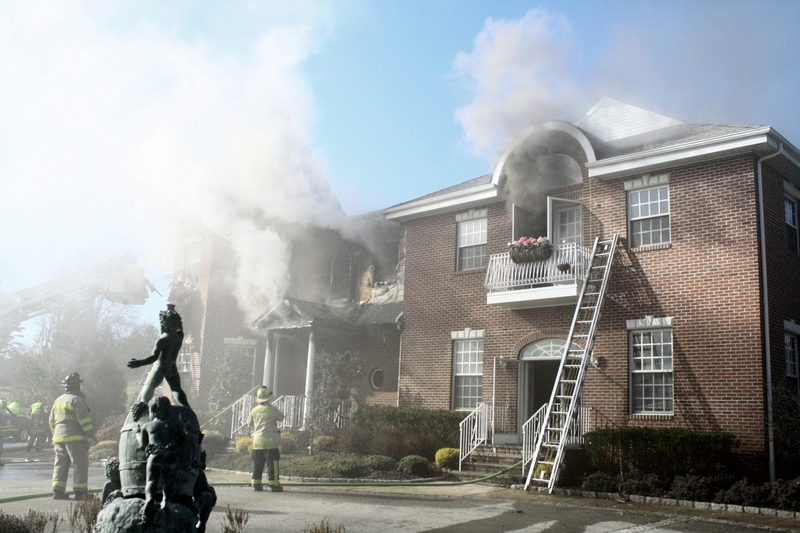 On Sunday afternoon, 4/7/13, Squad 6 and Engine 6 were both a part of the response to a large wind-whipped fire in Horsham as 298 Blair Mill Road burned from a fire which allegedly began as a brush fire quickly burned in the neighboring professional business center. A crew with Engine 6 stood by at Station 88A (Fort Washington) to cover Upper Dublin Township after crews from that station responded directly to the fire. 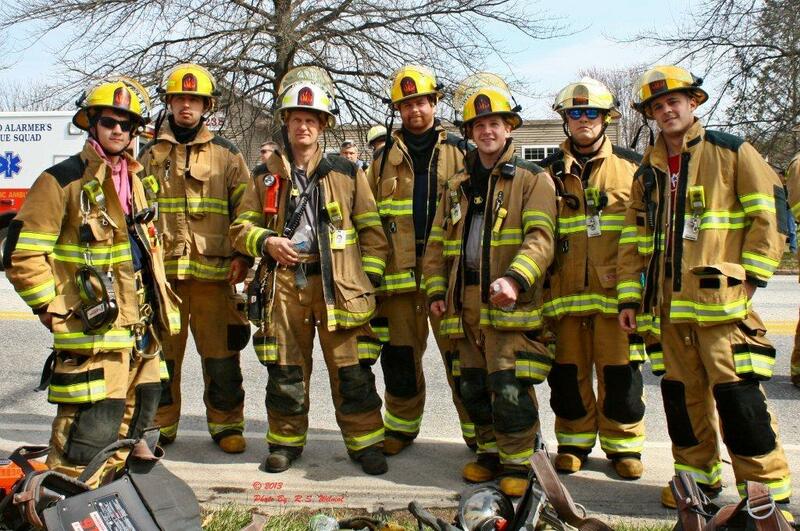 Squad 6 Crew (pictured below in a photo from Bob Wilmot, Jr.) served as a Rapid Intervention Team (firefighter and safety crew) at the scene. That crew included: (r – l) FF Tyler Buckley, FF Matt Caro, Asst. Chief Chris Buckley, FF Ross Pike, FF Andrew Johnson, Captain Chris Manning, and FF Sal Santangelo. Initial reports at 11:57 am of heavy smoke coming from the basement of 1250 Pinetown Road in Upper Dublin had Fort Washington Fire Company and units from Roslyn Fire Company, Oreland, and Flourtown Fire Company respond. Flourtown Fire Company’ Squad 6 was initially dispatched as a FAST unit and Engine 6 and Utility 6 were requested for additional resources and personnel. The fire advanced from the basement to all three floors of the large home and personnel were sent to the roof to open up particularly hot spots.